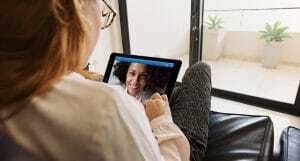 The CONNECT for Health Act would improve coverage of telehealth and remote patient monitoring as basic benefits in Medicare Advantage. 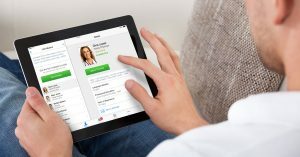 Avizia CEO Mike Baird and the executive director for the Alliance for Connected Care, Krista Drobac, spoke with Becker’s Hospital Review to discuss how the CONNECT for Health Act may ease telehealth restrictions—and provide Medicare beneficiaries access to better care. Telehealth has the potential to help rural patients remotely access specialized healthcare — but convincing payers like Medicare to cover these services has proved challenging. 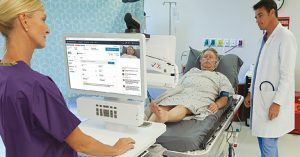 Section 1834(m) of the Social Security Act established restrictions on reimbursement for telehealth and remote patient monitoring services under Medicare fee-for-service. Many healthcare advocacy organizations say the statute is due for reform and have rallied around recent legislation like the Creating Opportunities Now for Necessary and Effective Care Technologies for Health Act of 2017. The CONNECT for Health Act has garnered bipartisan support, posting 13 cosponsors and more than 50 endorsements from advocacy groups like the American Medical Association, the American Telemedicine Association and the Healthcare Information and Management Systems Society. With certain restrictions, the CONNECT for Health Act would cover telehealth and remote patient monitoring as basic benefits in Medicare Advantage. The bill also proposes a bridge program to help providers report telehealth and remote patient monitoring practices under the Medicare Access and CHIP Reauthorization Act’s Merit-based Incentive Payment System. But, the CONNECT for Health Act has been stuck in committee, so the Alliance for Connected Care is exploring braking the bill apart to push select reforms forward piece-by-piece. “If the CONNECT for Health Act doesn’t move in entirety on its own, we want to be sure that pieces of it get enacted as other bills,” Ms. Drobac says. Read more about the bill and its status at Becker’s Hospital Review.